Question 2. What was the total number of engineering students in 1996 – 97? Question 3. 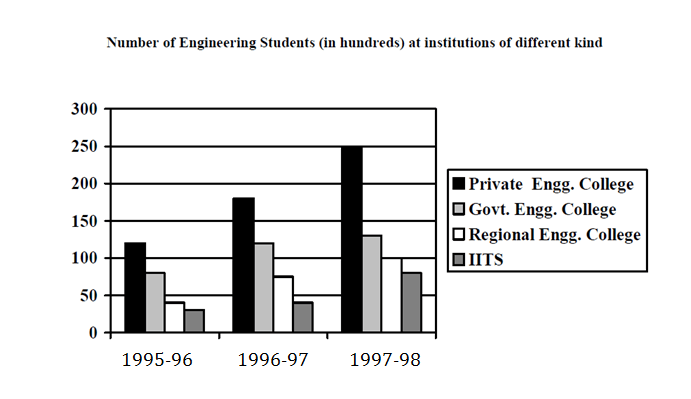 In 1997 – 98, what percent of Engg. Students were studying at IIT’s? Growth rate (Private Engg. College) = (180 – 120) / 120 = 50%. Hence the growth rate is equal. Want to explore more Data Interpretation Sets?